2017 Field Day is here! 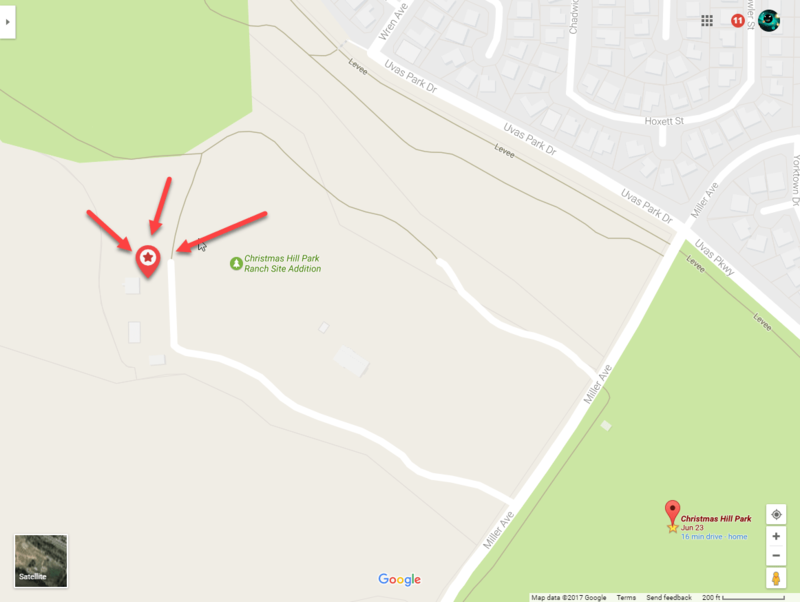 Join us on June 24-25 in Christmas Hill Park in Gilroy with members from GVARC, SBCARA, and the “We are not a club” club from Morgan Hill for 27 hours of Field Day. We will be operating 4A, with GOTA (Get On The Air). If you would like to volunteer, please use the Field Day 2017 link and fill in the information for the shifts you would like to operate. On tonight’s net, I mentioned that you can get on 40 meters for under $60, and without the need to be a virtuoso on the soldering iron or know tons about radios. 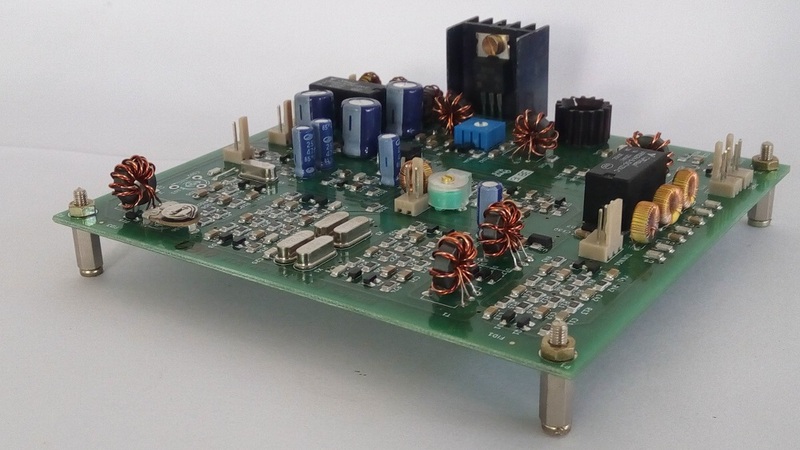 Say hello to the BitX40, an almost completely-finished 7 watt transceiver. All you need to do is supply a box or case of some sort to put it in, a battery, and an antenna. Everything else is already there for you. To finish it, you solder on wires to a few controls, the battery (or 12 volt power supply), the antenna connector, and you’re ready to get on the air. The BitX series of radios have an interesting back story. A ham in India named Ashhar Farhan, VU2ESE, was concerned about how low the number of hams there were in his country, as well as other third-world countries. After pondering this issue for a bit, he decided that one of the greatest problems a prospective ham faced was the high cost of even used ham equipment there. He set out to make a 20 meter voice transceiver that used less than $20 in materials. Thus was born the BitX20 about 10 years ago. He cut costs in some very innovative ways. For example, instead of the relatively-expensive ferrite toroids that are often used in radios, he substituted fiber or metal washers and wound his coils on them instead. He decided to limit the power output to less than 10 watts so that a very common power MOSFET transistor could be used. He also designed a novel main VFO tuning system made from a plastic drinking straw and a coil of wire. I have one of these original (slightly improved) kits. About 6 months ago, Ashar decided to try and help employ women in India to make a radio that might sell in higher quantities if he made it easier to build, but still supplied a quality product. He created the BitX40, and founded a new small business to support it. This is what I have in a my hands today, and I have to say that it is a very high-quality product, and he’s made it very easy to complete. Gone is the drinking straw VFO, replaced by a very cool “Radiuino” board. It is a very hackable Arduino that drives a 2-line LCD display and a DDS chip that outputs a highly-accurate, clean RF signal. This one item alone increases the “fun factor” quite a bit, and helps contribute to a feeling that you are using a high-quality product that you yourself completed and mounted in your own custom housing. Mount the display face and knobs to a plastic or metal ammo can and throw in a small battery pack, or put it in a cigar box (do they still have those? ), or make your own custom wood enclosure. It’s all up to you. As some of you are aware, last year, AB 1785/CVC-23123.5 was passed which is a fairly broad ban of using any communications devices while driving. In years past, ham radio was specifically listed as an activity that was permitted. But in this latest version there is no such provision which puts radio use for S&R, event support, ARES deployments, and other uses of ham radio in jeopardy. There is a change.org petition to get clarification and to re-word the law to be less ambiguous, and to take the contributions of ham operators and other services into consideration. If you have not signed the petition, you should. Coaxial cables come in many different types and sizes. One question was why are there so many different sizes of coax? Without getting deeply into the mud, I suggest that there are broadly two main reasons: loss and power handling capabilities. Let’s talk about power first, since it’s pretty straightforward. The more power a coaxial cable needs to handle, the bigger it must be. Part of that is like battery cables, the center and outer shield have to be beefy enough to handle the power. Another part is that the more power going through a coax cable, the higher the voltage difference is between the center conductor and the shield. Just like with high-voltage transmission lines, as the voltages get up into the thousands, the two parts of the coax must be moved further and further apart to keep them from arcing over. I have seen coax in use at a 50,000 watt TV station that is larger in diameter than my arm (and I’ve been working out!). Regarding loss, the general rule is that the smaller the diameter of the coax, the greater the loss is going to be. Also the higher the frequency we’re using, the greater the loss is going to be. In the Wi-Fi consumer electronis industry, we routinely use 50 ohm coax cable smaller than the lead in a pencil because of the need to be able to snake the cable in and around very tight spots. We accept the fact that the loss of this cable in the 2.4 and 5.0 Gigahertz WiFi bands is substantial but, due to the short lengths we usually use, it’s acceptable. Below is a quick list of coax cables you are likely to meet as a ham. There are hundreds of types, so this is a very pared-down, ham-friendly list. RG-174 is often used by QRP (low power) operators, because it is small and light, and easily carried in a back pack or go kit. RG-214 and RG-8 are a bit over 1/2 inch in diameter, and like LMR-400, are your best bet for carrying VHF and UHF signals for 50+ feet without too much loss. In fact, please use LMR-400 rather than either RG-8 or RG-214 for VHF+. RG-214 has a double shield, and is quite expensive, but good for use in repeater cabinets. RG-8 and its cousins are good for 2-30 MHz use, and is much cheaper also. Note that these thick cables can also withstand 5,000 volts, and RG-6 (75 ohm cable TV) is only good for 350 volts. So why did we settle on 50 ohms for most coax? Actually, 72 ohms is best for least receiving loss of very small signals, and that’s why the cable TV industry like it. It turns out that 50 ohms was calculated back in the 1930’s (and re-calculated many times) to show that it was the best impedance for transferring power. For receiving, 72 ohms is still best (and some hams use 72-75 ohms for that reason), but 50 is a good compromise. It also turns out to be a happy value, close to the natural impedances of certain types of monopole and dipole antennas. This 1/4-wave antenna has a slight gain (meaning you get more power or received signal than you put into it!) compared to an isotropic antenna. Isotropic is a theoretical pattern described by a beach ball–it both transmits and receives well in all directions. Our 1/4 antenna gets about 1.2 dB (abbreviation for decibels, which relate in logarithms of the powers of 10, so 3 dB is a doubling or halving of power) more gain at the horizons only compared to an isotropic antenna, because we squished that beach ball with giant hands down in the middles, top and bottom. It’s all the same amount of energy that we started with, but we’ve squirted a larger amount of it in a direction that’s more useful to us! Speaking of squishing a beach ball, now let’s squish it down in the middle even more by changing the antenna to a 1/2-wave type. A half-wave antenna simply squirts even more energy at the horizons (so the signal goes further across a city, for instance), and even less up or down. We also lose more of that fat, doughnut shape, and it starts to look a bit more like a frisbee, but (and here’s the big deal) more of it squirts out towards the horizons, which are the useful directions we really want our signal to go. Here is an image showing “Unity”, or about like a 1/4-wave antenna, then two more antennas that have 3 and 5 decibels of gain over a dipole (that’s the little “d” after the “dB”, it’s the thing we are referencing ourselves to). That’s all antenna gain is–we refocus the energy from that theoretical beach ball in directions we care the most about. A beam antenna becomes more like the reflector on a flashlight. Held in the open, a flashlight bulb somewhat weakly puts light out in all directions. However, that same bulb, now placed in a flashlight with the reflector right behind it, can really put out a strong beam, but only in one direction. Dish antennas are very close to flashlight reflectors, and accomplish pretty much the same task: they reflect back any energy in a single (well, mostly) direction, causing increased signal in that direction. So, broadly speaking, gain-type antennas create this wonderful gain because they redirect the antenna’s energy in the directions we care most about. Make sure you walk away from this little tutorial with one important thing in your head: Gain antennas don’t create any new energy. If they did, the Law of Conservation of Energy would be violated, and would probably get quite upset about being violated in such a rude way. No new energy, simply the same amount aimed where we would like it to be most effective. The universe maintains its balance. No dark matter was harmed in the making of this movie. As a final thought, we can make gain antennas either by making them a certain length, or by stacking multiple antennas, or by brute-force reflectors (like a dish). It turns out that certain lengths of antennas have more gain than others. A half-wave has 1.2 dB more gain than a 1/4-wave. A 5/8-wave wire has 3 dB more gain than a 1/4-wave wire. Stacking several 1/2-wave antennas has more gain than them all! The only “trick” to getting all this gain is that you have to make each new length or added antenna happy by matching it to the exact impedance of the rest of the antenna system, and that can get tricky, because it will rarely be 50 ohms. Not super-difficult, just tricky. The reason everyone likes a 1/4-wave antenna is because,given a decent ground plane to work with (the car’s roof, in this case), it happens to come out to a nice, round 50 ohms characteristic impedance. That means we can connect any old 50 ohm coax, and we’re done! OK, haha, thanks. So adding a bunch of 1/2-wave, 5/8-wave, or even 3/4-wave antennas together will give you more and more gain, offset by whatever losses you have in your matching networks (and there’s always some energy lost). A vertical stack of these antennas to make one high-gain, 20 foot-tall antenna of maybe 9-12 dB is called a collinear array. All the while, that pattern you see above gets flattened more and more out towards the horizon. Is there a practical limit to the size of a collinear antenna? Yep, eventually, the losses in your matching networks at each junction of new antenna elements will add up to give you diminishing returns. You will have less and less of the original energy available down at the antenna connector. The array also becomes more and more mechanically unstable until finally someone shouts “Jenga!” Again, you’re welcome. During our tech net tonight, I couldn’t remember the name or model number of the piece of gear that allows me to have my own uninterruptible power supply (or UPS) to keep all my ham gear running, especially when the lights go off. So here it is: The West Mountan Radio PG-40S PowerGate. Along with a decent-sized deep cycle 12 volt battery (1 or more in parallel) and a 13.8 volt power supply, the PG-40S ties them together to give you uninterrupted power, and also keeps your battery charged, ready for action. It can provide up to 10 amps charging current to the battery when the power comes back on. It can handle up to 40 amps, or the equivalent of two fully-equipped HF 100 watt transceivers, or as many as four 50 watt-type VHF/UHF mobile radios. I’ve had mine for years, and can say I wouldn’t have it any other way. It’s silent, and the status LEDs on top tell you at a glance what is going on. The connectors on top are Anderson PowerPoles, pretty much the standard 12 volt connectors in use by all of us these days. Available at our local HRO stores or mail order. Price is about $140. Not cheap, but I can’t live without mine! We also have this same unit in operation at the WB6ZVW repeater (442.500 MHz, + 5 MHz, 100 Hz PL) on Crystal Peak to handle its battery backup needs. This one item kept us running without fail during last summer’s big Loma Prieta fire. In this week’s first-of-the-month Tech Net, we covered quite a wide range of Q’s and A’s, as well as some new and old laws on the books. I guess we would be caught under the “specialized mobile radio device”, but the wording, and even the definitions they provided, are so vague that I could probably be pulled over for talking into a corn dog. And yes, they did exempt anyone operating as an emergency services person. Along this the above new law is a requirement that the restricted device be mounted to the dashboard. One of our members reminded us of another law that is in effect that does not allow you to mount anything in the center of the dash, or on the low-center part of the windshield. You must mount your GPS, phone, or whatever in either the right or left corner of the dash only. The idea being that anything mounted in the center will obstruct your vision. Sugru is a neat, new product that just might find a use around your home or garage. See it here: http://www.sugru.com It is a flexible, heat- and cold-resistant, grippy and moldable polymer that can do some pretty cool things. After you mold it to the shape that you want, it remains flexible. Easiest thing to do is to have a look on their website at the pictures and also videos that show some good ideas. Aaron, W6TDR, brought it up and mentioned that he’s used it. I have several sample kits of it, but I haven’t actually used it yet. I also got a fun kit from them that includes some button magnets. Oh boy! A question was asked about whether DStar is becoming more or less popular, especially when DMR seems to be coming on strong. Even though DStar and DMR use the same analog-to-digital codecs, DMR’s has FEC (forward error correction) built into it, and there is much less “R2-D2” voice garbling than DStar when signal strengths get low. In fact, because of FEC, DMR seems to get about 10-15% better range than even analog FM can do. The only downside is that you’ll have to get your ear used to hearing band-limited, digitized audio. This is the case for either DMR or DStar, BTW. DStar is supported by one ham manufacturer, Icom, and has never caught on with any others. DMR is a world-wide standard driven by the need to serve the professional 2-way radio crowd, so even though it didn’t hit the market until 2007, all sorts of radios and infrastructure are available for it now, driving down costs to $100 or so for an entry-level radio. With DStar, I’ve always been annoyed by the “DStar tax” I would have to pay if I bought an Icom radio. The best part of DMR for me is the wonderful volunteers that have set up several world-wide networks and charged exactly zero for the rest of us to join in. There are tons of hams to talk to at any hour of the day. Install the MD-380 programming software on your PC (available here as a download after you sign up for their very good newsletter). Get one of us to email you a codeplug that you can program into your radio, and then you’re good to go! We can also explain what a codeplug is, and how you can change it to suit your own needs. HRD Software released a statement Friday that Co founder Rick Ruhl will be stepping down in the aftermath of the product review / blackballed call sign brouhaha that was waged on the internet and in multiple forums and internet sites over the past month. In the statement Rick announces his retirement as co-founders Dr. Mike Carper and Randy Gawtry acknowledge Rick’s contributions to HRD. A new EULA is also announced that should be released shortly. In what may be a record 169 page forum thread on QRZ, the debate has raged on regarding the events that lead up to Rick’s departure. Somewhere along page 37, HRD published an apology for the incident and vowed to review their customer service policies. An apology was also posted to eham, their twitter feed and their Facebook account. All of this has also been tracked in a huge Reddit thread. Let’s hope this can now be behind them and they can get back to fixing bugs. 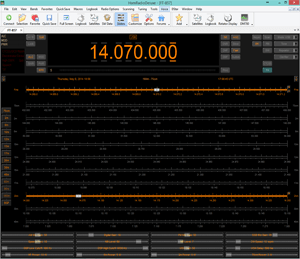 Ham Radio Deluxe is a package of software products to enhance PC based rig control, logging, digital modes, rotor control, and remote operation of your ham shack. How to not endear yourself to your customers 101: Shut off the licensing to your customer when they post a critical review. N2SUB found out the hard way you don’t mess with Ham Radio Deluxe. After publishing a review on eham about his experience with trying to get things to work with Windows XP, and then with Windows 10, N2SUB had his HRD license revoked, and was told by technical support that his license key had been “blackballed” by the company. Dr. Michael Carper, WA9PIEA, Owner and partner of HRD, in a very ham-fisted reply, claims that the blackball of the license key was the result of an over-zealous support tech. However, reading his response, it hardly reads like an apology. In fact, it is rather defensive of the incident as a whole where HRD seems to try to explain the behavior as an example of “we reserve the right to refuse service to anyone”. While that may be the case, the fact it was retaliation for a product review may be in violation of the Consumer Review Fairness Act (HR 5111). The eham review that sparked the controversy seems to speak fairly well to issues other hams have encountered with the product, including myself. N2SUB does not call anyone names, make any false claims, and is frankly a rather tame expression of his frustration with HRD. For HRD to have retaliated in this manner is bizarre. In the end, it appears that things have been set right with N2SUB for the time being and his license has been un-blackballed. But the incident in general, and the response from the company, was odd. Let’s hope this behavior does not become a trend. **UPDATE2** Here is some more info on the shenanigans taking place at Ham Radio Deluxe.